A neighborhood landmark for the past two decades, when the Rt. 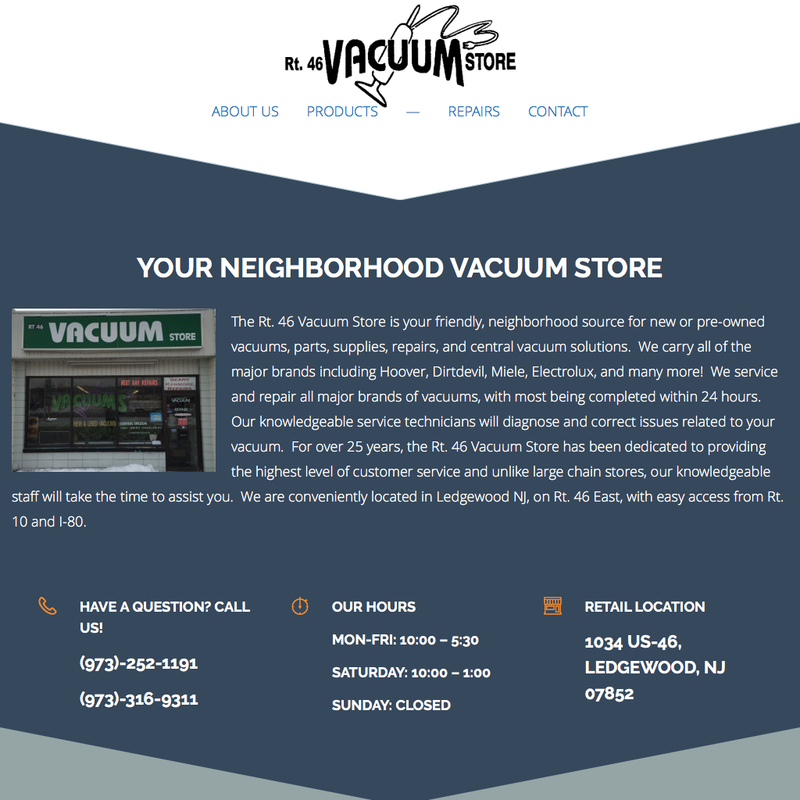 46 Vacuum Store sought to create their first website and online marketing campaign, they turned to the small business experts at Digital Strategy Associates. The new website tells the story of the family which created the store and highlights the local and friendly service from which they have built their strong reputation on. Digital Strategy Associates collaborated with the business owners to identify, develop, and implement a website design strategy that addresses their existing needs and future goals. The newly designed, responsive website, looks great across all devices and computers, including tablets and smartphones. With an easy to use content management system, staff can post news and announcements.